Cigarette Girl director JMM is still in a state of post-Connery shock, while producer Adam Hoenberg just looks dazed. 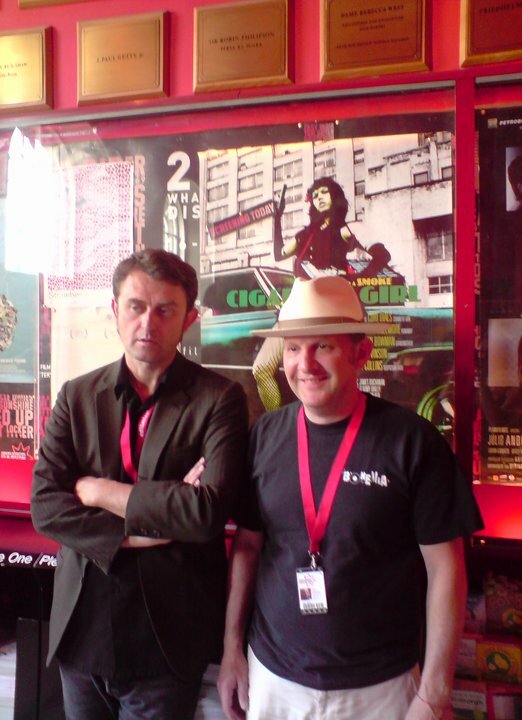 Mike McCarthy’s excellent slice of totally independently-made, dystopian big screen noir, Cigarette Girl, as previously blogged about on We Love Creative, is set to receive its European premiere at the Edinburgh International Film Festival on Tuesday 22 June. 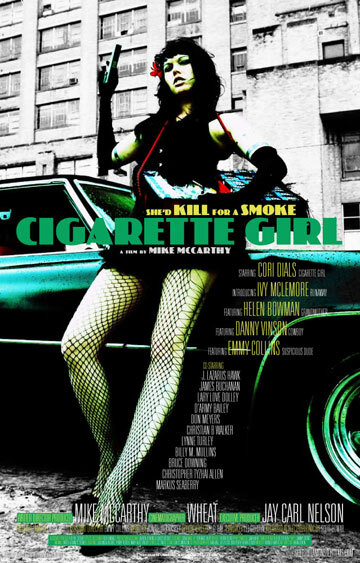 Cigarette Girl is the latest big screen slice of rock’n’roll-infused, dystopian noir from prolific, Memphis-based filmmaker, cartoonist and musician Mike McCarthy. He’s worked with rising director Craig Brewer (Hustle & Flow, Black Snake Moan) on such projects as MTV’s Emmy Award-winning Five Dollar Cover series; brought the world a host of lowbrow epics (including Elvis Meets The Beatles, “An unpopular movie about the most popular icons of our time”); and helmed promos for The Hives, Japan’s Guitar Wolf and other underground rock’n’roll icons.